Recently my parents came back from a 3 week roadtrip around France and Belgium in their motorhome. They brought us a few little treats from their journey, and that inspired me to start a new series – Spoils of Travel. It’s sort of self explanatory. Whenever I’ve been somewhere, I’ll share a post containing the little souvenirs or treats from there. Lets get started with some scrummy French & Belgian goodies! They had stayed in Ypres, Belgium during their last leg and picked up some delightful Belgian chocolates from T Hemelryck, which looks like such a sweet little place to visit. I’ve always wanted to visit the Ypres area – I love the Flemish style of buildings and a visit to the Menin Gate seems like a valuable journey. Their next stop was to Guinea, France – which is where they spent the last day or two. Luckily Friday is the local market day in Guinea, meaning they were able to get a really exquisite cheese haul – with 6 different cheeses costing around 5 euro in total. They brought us back this huge brick of Gruyere Emmental which is my absolute favourite – and so basically French Onion Soup is on the menu soon! Finally, and perhaps not quite so cultural, was a trip to the Calais wine mart – from which we were treated to some merlot, chardonnay, moscato and prosecco (for Aperol and Bellini cocktails). We’re not huge drinkers, but we do have a glass now and then, and we cook with wine often – so of course it was much appreciated! 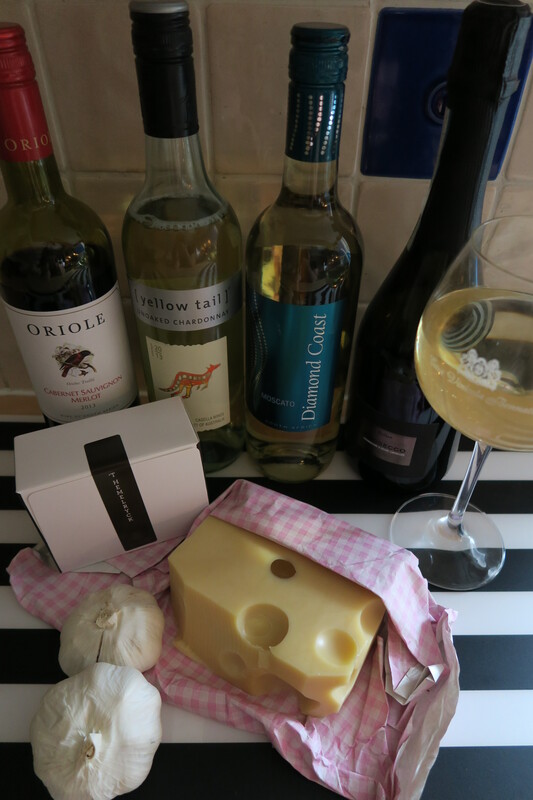 So, in all, we were rather spoilt from my parents’ trip – Thanks McGees! Now I’m looking forward to the spoils of our trip to Krakow in a few weeks! ← Things I Love About Autumn.